Helen Clark, former Prime Minister of New Zealand, the first woman to have won office at an election, and former member of the Council of Women World Leaders, is well-known for saying on the day of submitting her nomination as New Zealand’s candidate for the 2016 UN Secretary-General selection, that she was running as the best possible candidate, and not necessarily because she is a woman. As a woman in leadership, Clark calls for gender equality, but also for a significant emphasis on the fact that women are still being underrepresented in leadership on a global scale, which calls for something more than just having the same human rights.
.@HelenClarkNZ shares a message for women and girls aspiring to be leaders. Women like Clark and Adichie are calling for all to join the conversation on the topic of #WomenInLeadership. Female leaders are finally starting to become a reality, and most are making full use of their positions to give powerful advice on topics like developing your own leadership identity, or on embracing opportunities amidst fear. Usually by older MD colleague. 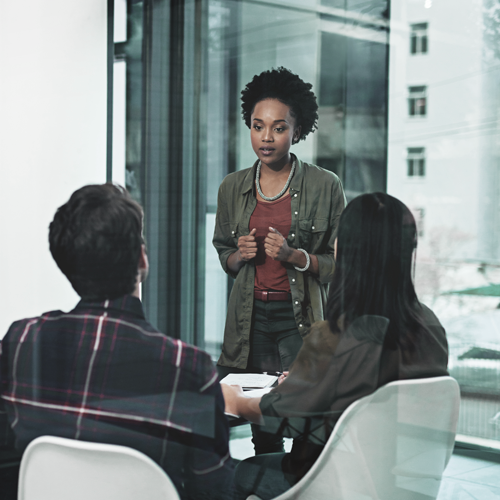 Explore the core strengths of female business leadership by studying the Women in Leadership online course from University of Stellenbosch Business School Executive Development.